Today I went to Blandford Forum, Dorset, to watch the WW1 Homecoming Parade, which marks 100 years since the end of WW1. 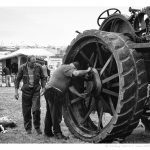 It also officially started the celebrations for the 50th anniversary of the Great Dorset Steam Fair (23-27 August 2018). 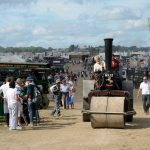 The Parade comprised a convoy of First World War vehicles and traction engines accompanied by a full crew in period dress. 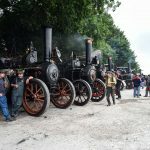 At just after 11am the impressive convoy of steam engines and military vehicles started out from Bovington Tank Museum en route to the Steam Fair site at Tarrant Hinton. 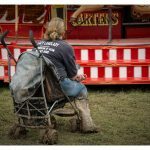 The convoy passed through the towns and villages of Bere Regis, Winterborne Kingston, Blandford Forum and Pimperne along the way. 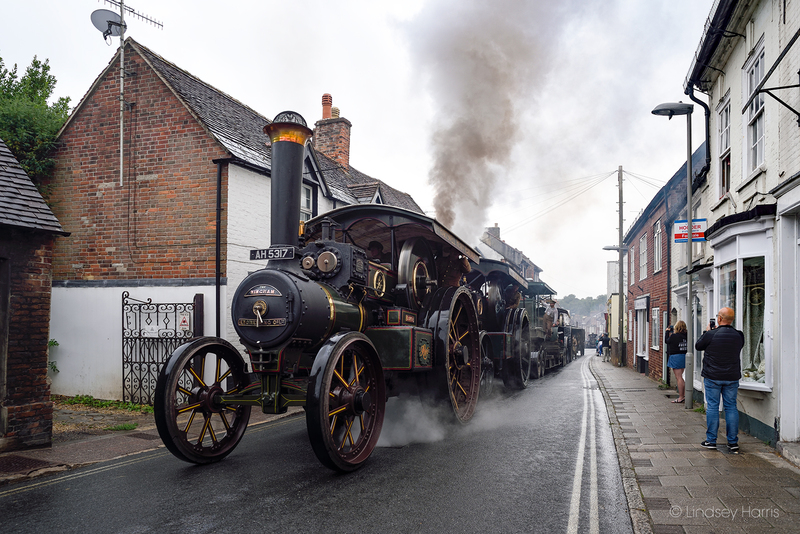 Despite the rain hundreds of people came out to see the Parade, waiting all along the route and for over two hours in the streets of Blandford for the convoy to arrive. 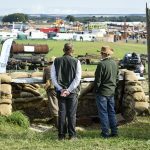 The Parade featured a British Mk IV Tank Replica from War Horse, a Holt 75 Gun Tractor, a Howitzer gun, WW1 motor lorries, motorcycle outriders, marching soldiers in Blandford and lots of steam! 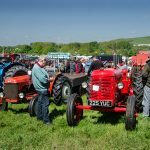 After just over an hour’s stopover in Blandford, the Homecoming Parade left for Pimperne and then on to Tarrant Hinton and the site of the Great Dorset Steam Fair. 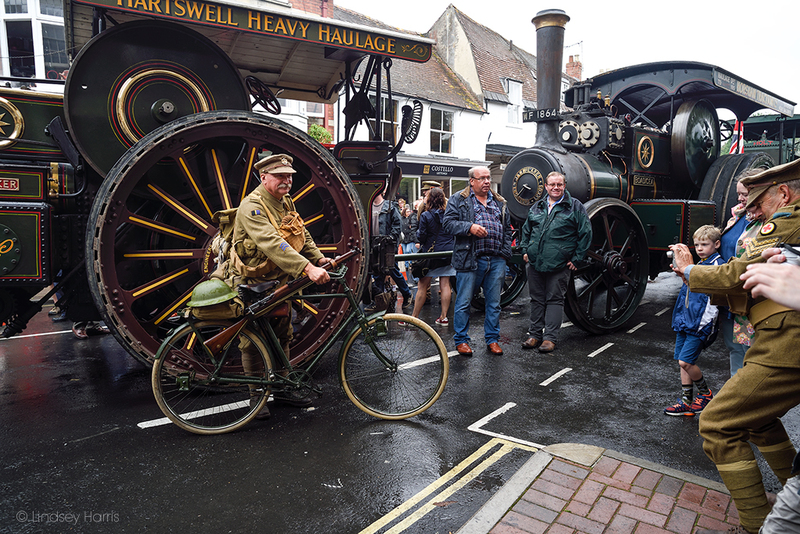 Traction engines from the WW1 Homecoming Parade at Salisbury Street, Blandford Forum, Dorset. 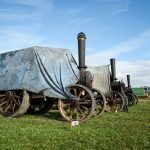 Steam engines and WW1 military vehicles en route to the site of the 2018 Great Dorset Steam Fair. 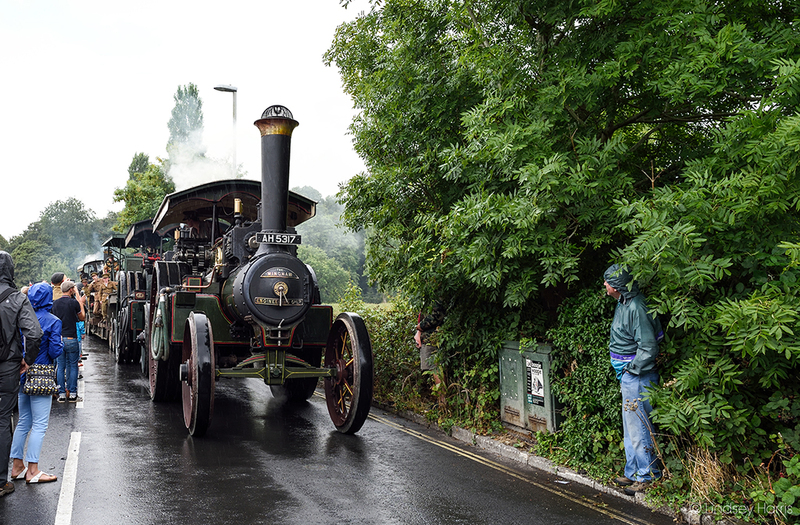 Vehicles and traction engines from the WW1 Homecoming Parade arriving in the rain at Blandford Forum, Dorset. 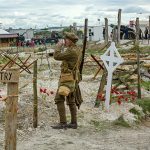 The WW1 Homecoming Parade and authentic period soldiers stop at Blandford Forum, Dorset, en route to the Great Dorset Steam Fair 2018. 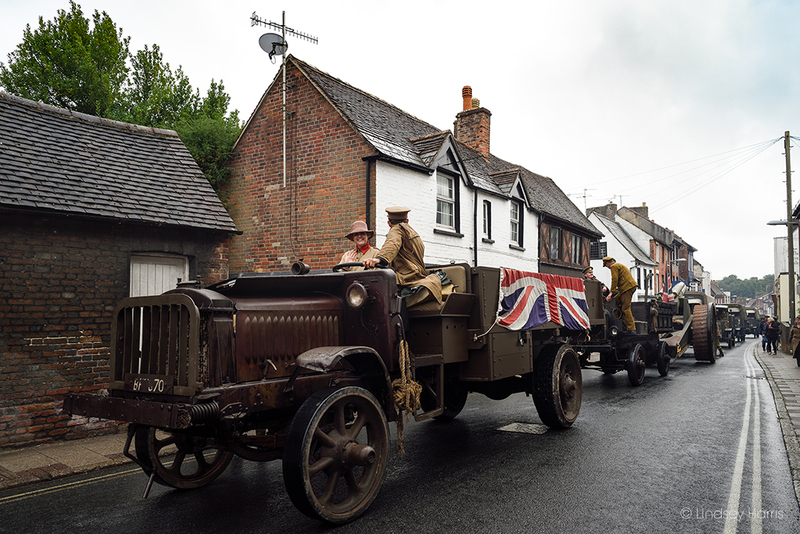 Vehicles from the WW1 Homecoming Parade in Salisbury Street, Blandford Forum, Dorset. 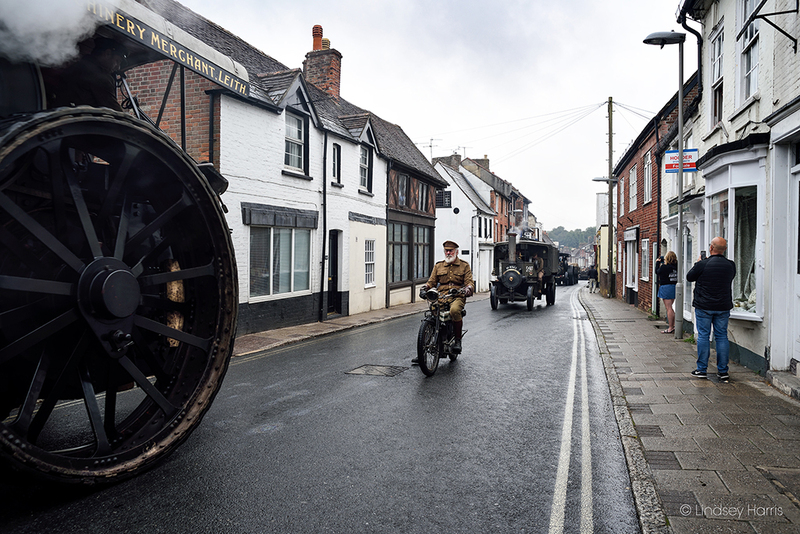 The WW1 Homecoming Parade drives through Blandford Forum, Dorset.